I really do enjoy my day’s out with Eco-Insider, they offer guided activities for tourists to enjoy when visiting the island, plus a resident’s club for those of us who live here. Last Sunday was a residents club outing, we met up at the cemetery to start a history tour of Guatiza with historian Arminda Viotti. For many visitors Guatiza is a small rural village where the Jardin de Cactus visitor centre is located. The original village was actually called Santa Margarita and situated up on the hill, Arminda told us the fabulous legend of a woman from Uga who had witnessed a miracle and in return promised to build a chapel to honour Santa Margarita. The site of the chapel was to be determined by a camel! The woman attached an image of the saint on to the camel and they set out from Uga in the south of the island, the goal being that where the camel stopped, the chapel would be built. The poor animal kept going until it was exhausted, eventually dropping to it’s knees at the base of Montaña Guenia. The ermita de Santa Margarita was constructed close to the site of where the cemetery stands today, the original chapel was eventually ruined and isn’t the one standing inside the walls of the cemetery. The camel had found fertile land with natural water resources for the village that was constructed around the chapel, however there was one problem with the location. The other name of Buena Vista given to this village, gives a clue to the issue, the properties had a lovely vantage point down to the coast, which also meant that they could be seen from pirate ships. During the 16th century the island had less than 400 inhabitants, more people were needed to work the land. Agustín de Herrera y Rojas an important land owner in Lanzarote, travelled to North Africa to capture slaves, his trips were so successful that it’s said 75% of the islands population originated from the Moors. 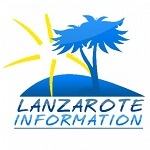 This recruitment was to have repercussions, Lanzarote then suffered from three serious pirate attacks from 1569 to 1586 carried out by Calafat, Dogalí & Morato Arráez. During the 17th century the residents of Santa Margarita abandoned their homes, moving to the base of Montaña Tinamala and Las Calderatas so that their houses were not visible from the sea. There is a another legend attached to the church in Guatiza which was built in honour of Cristo de las Aguas. Lanzarote was suffering after several years of drought, it is said that a shepherd found an image of Christ washed up on the beach on the coastline at Guatiza. The piece of driftwood was carried up to the village, after a few days it began to rain, torrential rain followed which resulted in a bumper harvest. This good fortune was believed to have been a miracle from finding the image of Christ and the villagers constructed the church Christ of the Waters. Stones from the original Santa Margarita chapel which was in ruin, were used in the construction of the chapel at the cemetery and the Cristo de las Aguas church. We walked a short distance along a path from the cemetery to visit the aljibes from the ancient village of Santa Margarita. Although now in disrepair, the original stone arch feature on the water storage tanks still stand proud and strong. 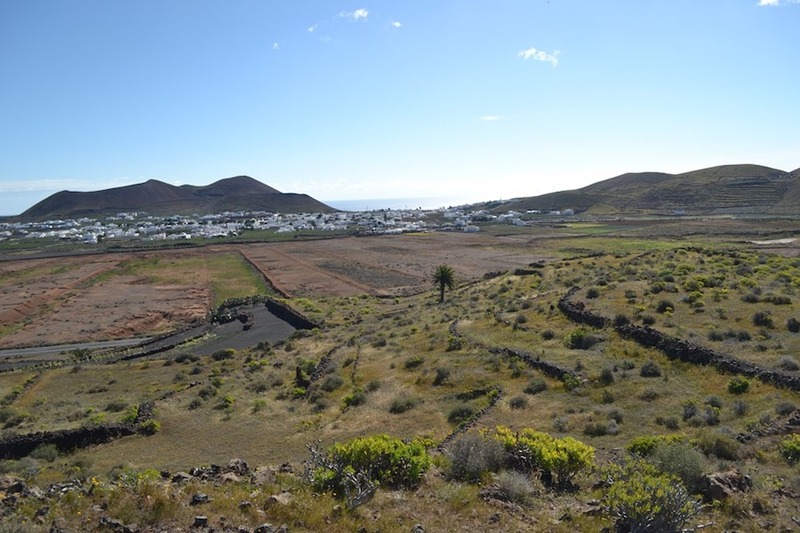 From this view point it’s possible to see why the fertile plains were good for crops, the village was famous for the quality of their chick peas, they also grew barley, these crops would be sold to the islands of Tenerife & Gran Canaria. Two windmills that used to produce cereals remain standing in the village, the first is in a restored condition with sails which can be visited in the cactus garden, and the second is less obvious situated a few streets away. The second industry in this area which is making a comeback today is cochineal farming. The prickly pear cactus was introduced to the island to encourage the cochineal beetle, these beetles were harvested by hand, dried in the sunshine and stored until the much coveted dye could be sold at the right price, when it was then crushed into powder. For those of you who have gazed up at the Montaña Guenia, you may have noticed a large cut out in the rock at the top of the crater. Our history tour was taking place on Equinox, the first day of spring and it’s believed that Guatiza was an important astrological location. If you climb up to this viewpoint at sunrise (around 07:30am) in midsummer on the 23rd June and follow the rays of the sun, it will reveal the location of an ancient cave where stone engravings can be found. I can’t tell you more as I haven’t found it yet, one summer I will be there to see it! Our next stop on our history tour was to the litófono, a special outcrop of rocks that each have a different sound. This isn’t my first visit to these stones, but I did discover something new, that I hadn’t seen before, and is the only one of it’s kind found to date in Lanzarote. If you look closely at the rocks in the centre of this photo, you can see the grey spots, if you hit these spots with a volcanic stone, you can play a tune with 18 different sounds! There’s a handy pile of stones available, so don’t be shy and bash out a song. The litófono is something that dates back to the Mahos, it’s not really known what these special rocks were used for, communicating or celebrating maybe? What I didn’t know is that close to the litófono, there is the only example of Berber Canario alphabet to be written horizontally found to date in Lanzarote. There’s quite a few carvings etched into the stone here, the shape of a fish can also be seen quite clearly. The best time of day to see these stone carvings is at night with a torch, when the sunlight isn’t shining directly upon the surface. Our third site included in our history tour of Guatiza was at Montaña Tinamala, where the landscape has been carved into something reminiscent of Egypt. n the 1950’s stone was needed for the construction of houses, primarily in the development of Arrecife such as the barrios of Valterra and Altavista. Jesús Soto was an artist & inventor, he was linked to many projects with César Manrique and was responsible for the creation of a machine to enable the extraction of stone from the base of Montaña Tinamala. The most impressive quarry is the first one to have been excavated, the deep walls are etched with straight lines where the pink stone was carved out of the mountain. The quarry was a source of employment for twenty years, as stone was cut to meet the demand for construction, it closed in the 1970’s when concrete breeze blocks became available. The quarry was re-opened in the 1980’s when 10 people were employed to extract stone to repair the Santo Domingo convent in La Villa de Teguise. These disused quarries would make a fabulous backdrop for film locations and open air theatres. Thanks to Arminda for her amazing knowledge of Lanzarote and Eco-Insider for another interesting day on the rock. Casa Lanah is a lovely, luxurious property with a private swimming pool that is kept warm all year round. Two bedrooms and sleeps 4.